Any established PE firm will attest that good, solid business ideas are common, but good, solid execution is rare. And more than any other tactic, good execution comes down to keeping score. Aligning a company's deal team, board, and executive team around value-creation priorities can be achieved in short order by centering on a few key performance indicators. And you already have the raw material for the job - your data. Ironically, most companies treat their data like background noise. In fact, most business data (more than ninety-percent) is left unused. Why the waste? Because organizing data to send the right signals to the right people in a timely manner requires a heavy lift (month after month) from an executive-level thinker. As a result, the job of report production remains forever orphaned, foisted upon whichever analyst or IT resource has excess capacity. The consequence is that deal teams, boards, and executives remain desperately devoid of true data intelligence. And countless spreadsheets (no matter how much conditional formatting) only add to the ever-expanding static leaders must rationalize in order to gain clarity and control. In that sea of static, strategic execution gives way to reactive management, and the resulting maelstrom makes coordination between leadership teams difficult. Fortunately, the cycle can be broken in a matter of weeks. 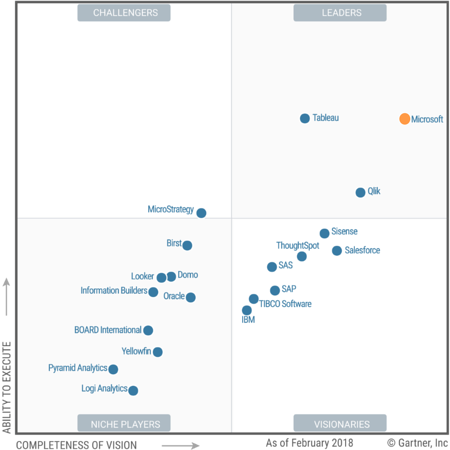 Data intelligence technologies are evolving at a blistering pace, led by Microsoft's Azure and Power BI. 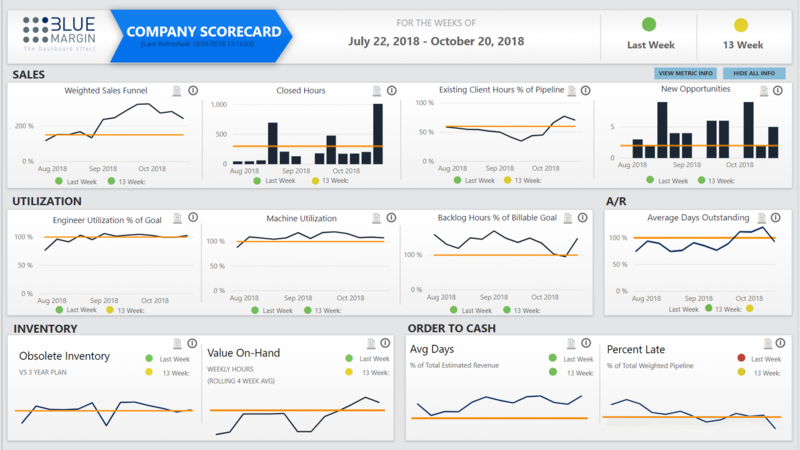 These tools are built-for-purpose to automate the process of synthesizing data static into the few clear signals leadership teams need to focus and align their efforts. It starts with a single KPI (red, green, or yellow - upper right-hand corner). 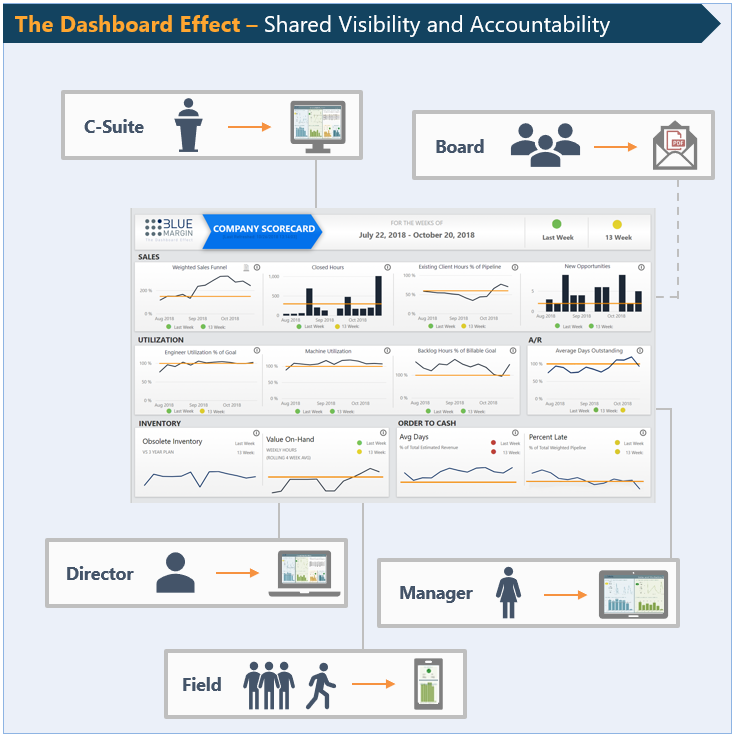 One vivid signal that delivers instant, shared visibility into the health of the organization. The rest of the scorecard shows the high-level status of the most critical performance areas. From there, a single click reveals the underlying details for each card. This simple tool enables any company to utterly transform itself by empowering leaders to coach from the same playbook, day in and day out. We've seen it over and over. A good scorecard does more to sustain focus on the highest value-creation activities throughout a company than any other single tactic. To learn how to become a data-driven company, download the first two chapters of our book, The Dashboard Effect. Send us your comments and we'll ship you a hard copy from Amazon, no charge.